Dimensions 0.50 by 6 by 9 in. Amazon.com description: Product Description: The Book of Balance and Harmony is a renowned anthology of writing by a thirteenth-century master of the Complete Reality School of Taoism, a movement begun around the turn of the first millennium CE whose aim was a return to the purity of Taoism's original principles and practices. This classic collection, compiled by one of the master's disciples, is still very much in use by the Taoist adepts of China today. Its serves as a compendium of the teaching of the Complete Reality School, both in theory and in practice, employing a rich variety of literary forms, including essays, dialogues, poetry, and song. The writings herein condense the essences of the Chinese religious traditions of Taoism, Confucianism, and Buddhism into an alchemical elixir teaching Vitality, Energy, and Spiritâthe "three treasures" of Taoism that promise mental and physical well-being. 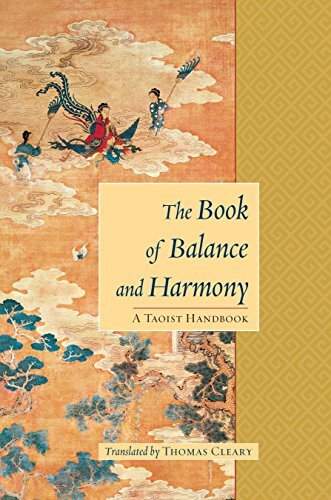 About: The Book of Balance and Harmony is a renowned anthology of writing by a thirteenth-century master of the Complete Reality School of Taoism, a movement begun around the turn of the first millennium CE whose aim was a return to the purity of Taoism's original principles and practices.